It’s time to update the legal situation of former Defense Minister, military reformer, and “witness” to enormous corruption right under his nose, Anatoliy Serdyukov. On these pages, it’s been said there’s no way Serdyukov can escape the prosecutors and jail. That assessment may have been hasty. It reflects a vain hope that even Russia, with it’s unbelievable corruption and light regard for the rule of law, will indict and convict someone too smart and too financially savvy not to know what his “women’s battalion” was doing with MOD property and shares in the quasi-military companies of Oboronservis. Someone who clearly knew how various schemes involving his brother-in-law and military property would look if unearthed. In Vladimir Putin’s Russia, politics and clan membership trumps law and everything else. Serdyukov betrayed one of his benefactors by jilting his wife, Viktor Zubkov’s daughter, but remains free. It must be Putin’s political calculation that keeps him out of prison. Still, Serdyukov hasn’t been a cooperative witness; he’s practically been a suspect if we take the tone of what GVSU SKR investigators have told the media. Last week Kommersant reviewed the facts regarding Serdyukov in an article on the GVSU SKR’s decision to prolong its investigation surrounding Zhitnoye until January 17. The Oboronservis corruption investigations swirl around Serdyukov, but haven’t been directly connected to him. They will continue until March. The Zhitnoye case bears the most direct involvement by Serdyukov, according to Kommersant. The paper believes it’s still fully possible he could turn from witness to accused in this case. The affair might have ended in September when Serdyukov’s brother-in-law Valeriy Puzikov and one of his partners returned this property worth 150 million rubles to two “autonomous departments” of the MOD. The MOD would have thus suffered no injury. But investigators in the case argued Zhitnoye didn’t go directly back to the MOD whose budget paid for improvements at the Volga resort. Road and bridge construction and landscaping at Zhitnoye cost the MOD 15.5 million rubles. 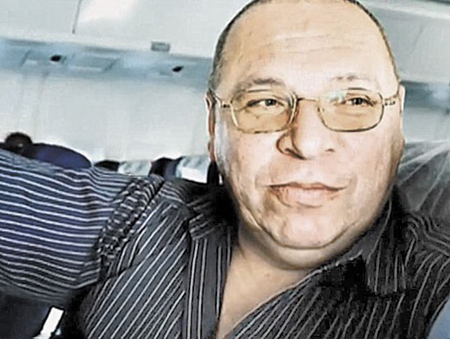 Puzikov fled Russia in February, so we may never hear what he would say if questioned. 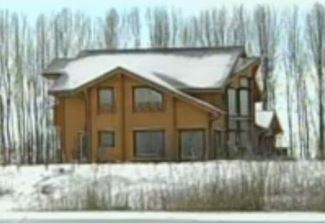 GVSU investigators say Serdyukov’s former deputies and his other underlings say he personally supervised work on Zhitnoye, but the GVSU’s case is still directed against “unidentified MOD officials.” Serdyukov signed paperwork about Zhitnoye, and visited 17 times, but doesn’t recall other circumstances about the property, so he remains a witness. For his part, Serdyukov’s lawyer says the MOD suffered no damages, and he calls the entire investigation a waste of time and resources. The other two “Serdyukov dacha” cases weren’t mentioned in this latest round of news. 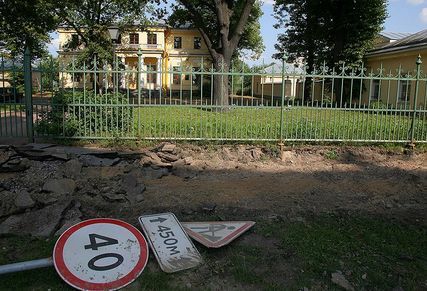 However, Rossiyskaya gazeta wrote last week about a St. Petersburg property that reportedly long interested Serdyukov — the gardener’s house on the grounds of the Tauride Palace. Apparently, unknown persons acquired it for the MOD in 2008, then it was sold by Yevgeniya Vasilyeva’s people to a shadowy firm formed just months earlier for 384 million rubles. There is suspicion the buyer was under Puzikov’s control. This conversation was conducted, first and foremost (but not exclusively), about Oboronservis, although not Serdyukov by name. Another PA source said siloviki shouldn’t “air” criminal cases featuring highly-placed officials and serious damage to the nation’s budget. Izvestiya concludes that the state’s anti-corruption policy [such as it is] is based on the inevitability of punishment for offenders. And this is what law enforcement is demanding from the PA. Correspondingly, it should be possible to expect that all big corruption cases could end with real terms for all suspects. But Serdyukov remains at most a suspect. Perhaps investigators are starting to close in on him. He didn’t really talk to them until March when confronted with property documents he had signed. 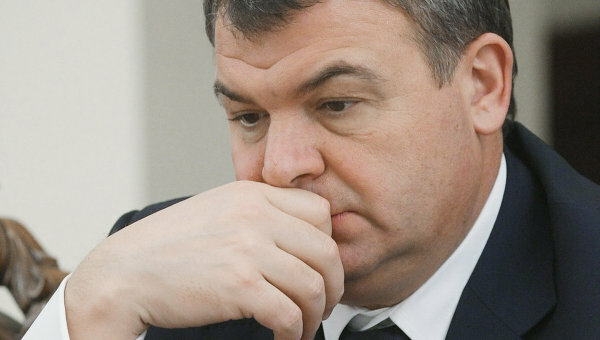 It still appears Serdyukov’s fate is controlled at the highest level. Putin apparently told SKR chief Aleksandr Bastrykin early on that he didn’t want to send the former Defense Minister to jail. But investigators are pressing forward. If they change Serdyukov’s status from witness to accused, then perhaps Putin isn’t the complete master of this game. 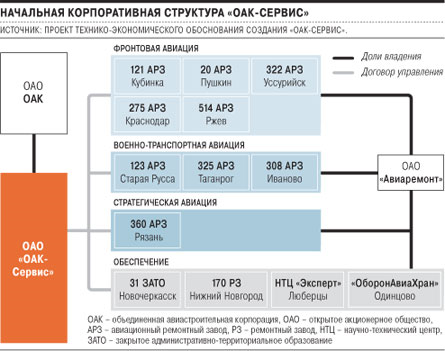 Kommersant’s Ivan Safronov and Yelena Kiseleva wrote Monday (28 October) on the status of devolving Oboronservis’ Aviaremont into a subsidiary of the United Aircraft Corporation (OAK). In the process, they indicated less than half of Russia’s combat airplanes are serviceable. Aviaremont enterprises will become OAK-Servis subholdings. The factories will repair aircraft for the Defense Ministry, and for other power ministries and agencies. OAK and the MOD already have an 84-billion-ruble contract for repairs in place. Meanwhile, Aviaremont owes the MOD 115 billion, which OAK has promised to make good. OAK-Servis is supposed to provide life-cycle support for MOD (mainly VVS) airplanes. And it will “correct an unfavorable situation in the condition of the current inventory of the Air Forces, which still aren’t guaranteeing the necessary level of technical combat readiness,” Kommersant writes. But OAK believes it can ensure a profit for plants that once belonged to Aviaremont. Ruslan Pukhov tells Kommersant less money in the next GPV means less procurement and more repairs and modernization after 2020. Now for the interesting part . . . In a sidebar, the authors describe the parlous state of technical readiness in the Air Forces. All VVS units are supposed to be in “permanent readiness,” with not less than 80 percent of the airplanes in their established composition in a serviceable state. But Safronov and Kiseleva report only 42 percent of VVS airplanes overall, and 49 percent of its combat airplanes, are serviceable. The most serious situation with fitness for flying is found in Tu-160 and Tu-22 [Tu-22M3] bombers, the MiG-29 and MiG-25, An-22 transports, L-39 trainers, and others for which serviceability hovers around 20-25 percent. In 2013, the VVS had 696 airplanes in need of repair, but as (or if) new ones reach the inventory toward 2020, the number in need of repair will reportedly decline to just 49. The sidebar says, along with repairing MVD, FSB, and MChS platforms, OAK repair plants will also have to maintain and overhaul exported airplanes. Recall for a moment the MOD’s Action Plan to 2020 . . . the section on equipping the armed forces indicated year-end VVS aircraft serviceability rates will be 55 percent in 2013, 75 percent in 2014, and 80 percent in 2015. These numbers require pretty fast improvement. Former Defense Minister Serdyukov apparently decided to speak to investigators last week, shifting his previous stance of taking the 51st or providing written statements. Media outlets said the appearance of “new materials” caused the change in his tactics. 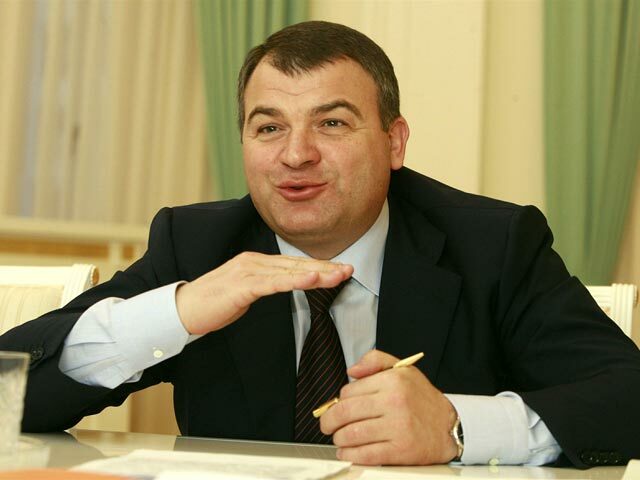 Last Monday, Newsru.com recapped a Kommersant story saying that Serdyukov’s signature was on documents transferring the Bolshoy Utrish property to his brother-in-law Valeriy Puzikov. But investigators haven’t talked to the ex-minister about that case yet, which they say amounts to large-scale fraud by a group of conspirators. Recall the Defense Ministry obtained this Black Sea coastal property near Anapa in 2010 to build a radar station, but, with the help of Yekaterina Smetanova, it was excessed for two-thirds of the military’s purchase price to Puzikov. On Wednesday, Politkom.ru commentator Tatyana Stanovaya reported that the ex-Defense Minister talked to investigators for five hours. Bastrykin notwithstanding, the siloviki think they long since had enough evidence for Serdyukov’s prosecution. Stanovaya cites Kommersant’s report that the former minister decided to cooperate, to talk, because investigators recently conducted searches and seized documents on the case from his relatives. The commentator believes his more constructive position improves his chances of escaping the affair without criminal charges. If the existing affair of the three dachas weren’t enough, Nezavisimaya gazeta unearthed another issue last week. In the deal to import light armored vehicles from the Italian firm IVECO, Serdyukov’s Defense Ministry allegedly conspired to avoid paying customs duties amounting to $10 million. All for vehicles of questionable suitability for Russian conditions. NG concludes charges will be brought against the Oboronservis officials involved in the purchase. Izvestiya provided details on Serdyukov’s personal involvement in building Puzikov’s resort on Zhitnoye, where he claimed officers could stay (but not for free) after air defense exercises at Ashuluk. The former Defense Minister traveled to the site 17 times between 2010 and 2012, while the road construction and landscaping was in progress, on Air Forces helicopters leased to Chkalov Avia. That company’s majority owner is Anna Tretyakova, and her mother Yelena is general director of Zhitnoye. Former General Staff Chief Makarov reportedly told investigators he ordered railroad troops (v/ch 42677) to build the 6.7-kilometer road and three bridges on Serdyukov’s personal order. The construction materials came from that unit. On balance, it seems prosecutors are closing on Serdyukov. As written here in November, there’s too much blood in the water. Putin will sacrifice him. His effort to rebalance the political system he created depends on more than not letting the siloviki have Serdyukov. And what of Serdyukov-instituted reforms which promised to change still largely Soviet Armed Forces into a more modern military? The pain of reforms joined with the taint of high-level corruption to undermine them. Their opponents could not possibly devise a more ingenious strategy to discredit them. That too would be funny if it weren’t so sad. If That Was Cosmic . . . If 2011’s corruption figures for the armed forces were cosmic, what are 2012’s? We usually get various prosecutors’ reports about this time. This year’s no different. Newsru.com picked up some of Main Military Prosecutor Sergey Fridinskiy’s comments on military corruption from the GVP’s web site. The biggest issue, of course, is Oboronservis, 25 related criminal cases, and more than five billion rubles in damages to the state. But those future facts and figures don’t play into Fridinskiy’s 2012 report. In 2012, Fridinskiy said crimes by officers, as a share of the armed forces total, reached their highest level in 10 years — 30 percent. The share of crimes by contract servicemen increased by 14 percent. The overwhelming motive, said Fridinskiy, was greed, and losses to the state tripled to 11 billion rubles. According to GVP data, every fifth crime involved corruption. Losses from corruption exceeded seven billion rubles. Bribery cases rose by a third. Embezzlement and misappropriation by two times. And fraud by almost 20 percent. Three higher [general] officers and 210 senior officers, including 64 military unit commanders and chiefs of various facilities, were convicted of corruption-related offenses. Regret the delay in returning to the rest of this summary of the Oboronservis scandal from Newsru.com. Nervous times for some in the Defense Ministry. Cartoonist Sergey Yelkin (Yolkin, Elkin, Ёлкин, Елкин) is a Russian national treasure however you spell his name. To this English speaker’s fingers, reaching for and finding the Ё key is akin to a holy fool wandering from Moscow to Anadyr. Yes, if one had a category for Cheap Posts, this would be filed there. The SK tried again Tuesday to question former Defense Minister Serdyukov about the disposition of military property near the resort town of Anapa. But, as Interfaks reported, Mr. Serdyukov once more invoked his 51st article right against incriminating himself or close relatives. And RF Prosecutor General Yuriy Chayka told the Duma the entire Defense Ministry corruption affair now adds up to 25 criminal cases and more than 5 billion rubles in losses to the state.